MogoBlog MogoLicious Tasty Tip of the Day: Even if the weather is starting to cool off, sometimes, it’s just so wickedly fun to indulge in this devilishly sweet concoction. This pumpkin mocha iced coffee recipe is AMAZING. Crazy good. It reminds me of an even richer version of the Starbucks Frappuccino®. The is the best milkshake and coffee blended drink you ever tasted. Because it really is. You have to try it! Add all of the ingredients into a blender. Blend until smooth. Pour into your favorite serving glasses or mugs. Garnish with whipped cream and a drizzling of chocolate syrup. Sprinkle pieces of Oreo cookie on top of the whipped cream. Insert a straw and ENJOY!! 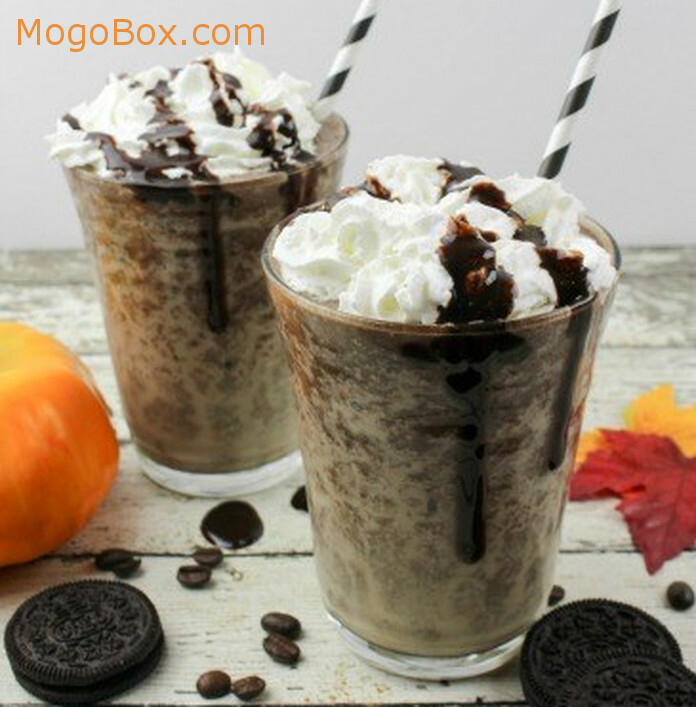 This entry was posted in MogoBlog, MogoLicious and tagged #MogoBlog, Chocolate Chips, Chocolate Syrup, Coffee, Ice, Milk, MogoBox, MogoLicious, Oreo Cookies, Pumpkin Pie Spice, Pumpkin Puree, Sugar.